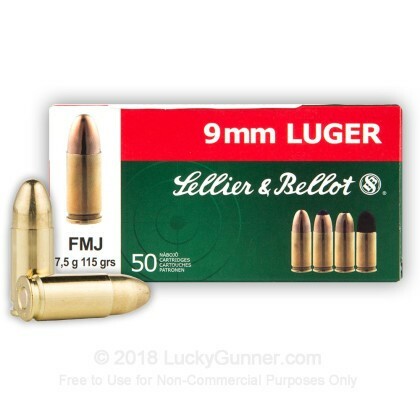 These Sellier & Bellot 500 round Battle Packs are foil sealed for incredible protection from the elements. Whether you're looking for an effortless solution for long term ammo storage, or you just want a few hundred rounds for a day at the range, the S&B 500 Round Battle Pack is a great solution! Sellier and Bellot has been producing ammunition since 1825. Today, their ammunition is used by hunters, competition shooters, law enforcement agencies and military units around the world. 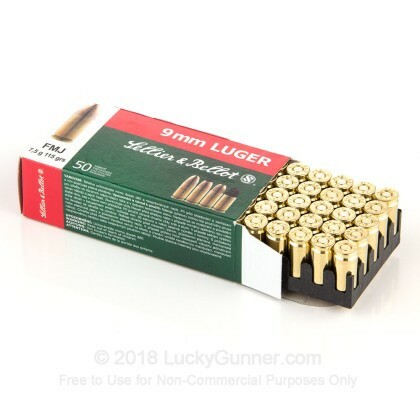 I haven't been able to shoot any of the ammo I have bought from Lucky Gunner as I work overseas and don't get a lot of time at home. However, I can say that I am more than pleased with the customer service I receive from them and the prices are VERY competitive. Thanks Lucky Gunner. 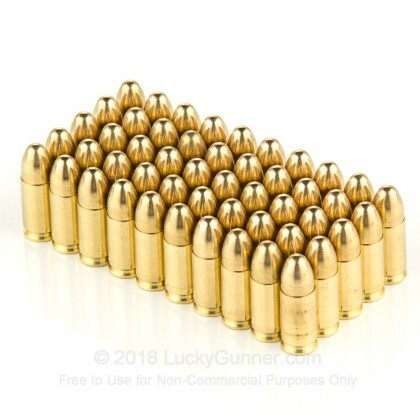 This is good range ammo. 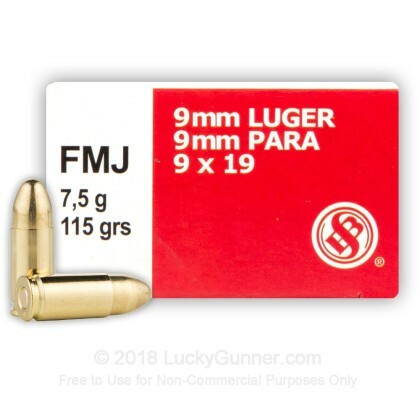 It's all still too expensive but this ammo is a pretty good deal. "Battle Pack" is a silver plastic shipping bag like a UPS or FedEx bag. No failures at all while breaking in a new pistol. A good value in today's market. Have been using S&B pistol ammo right along for 20 years. They don't seal the primers anymore, and I wish they did. But things change. Otherwise, good, honest ammo at a reasonable price for plinking and target use. Bought the 500rd "battle pack" recently. To be honest, I haven't shot any of it, yet. I have older ammo I want to shoot first, but it arrived in good shape. I agree with Shelby that the packaging shouldn't be classified as a battle pack, as the wrapping is not going to stand much abuse. Good ammo, good price...although it went up shortly after I bought some. The product you get is worth the money! it makes for great practice ammo. 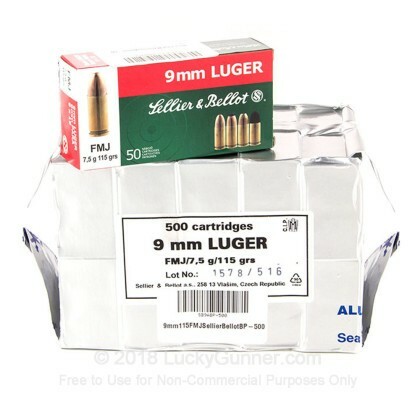 thanks lucky gunner you have a new customer:D.
This ammo is in a strong plastic wrap, and nice 50 round boxes with plastic tray holding the bullets. 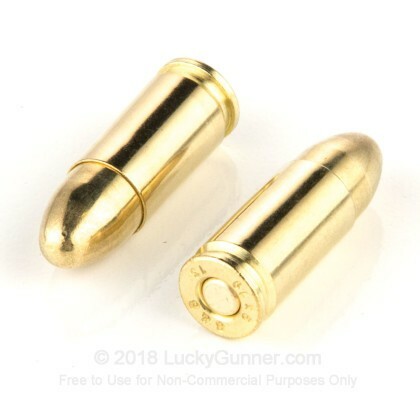 The ammo is highly polished and really looks higher quality than the price. Experience has revealed that this ammo is clean firing with minimal cleaning needed after a day at the range. Accuracy is very consistent, and have never had FTF. 3 days from order to door with standard shipping!!! 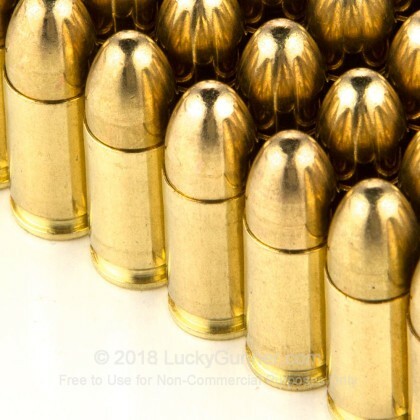 Great price per round, especially for brass cased ammo. However, forget the battle pack from these guys. It's extremely thin and mine came with a 1/2" tear in it. Like I said it's good ammo for the money so I'll just use it up on the range and stick with the PMC battle packs for storage since they are nice, thick plastic.